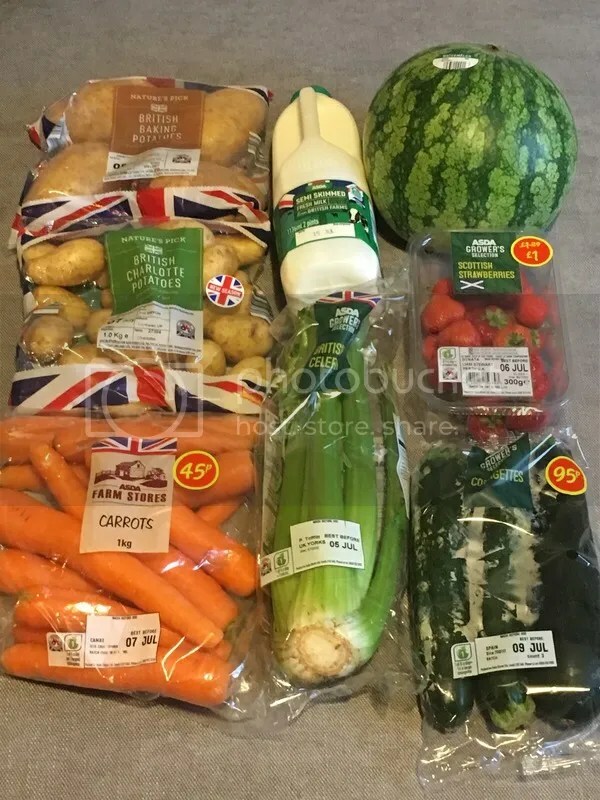 As promised, here is my food shop and meal plan for the upcoming week. If you read my update post, you’ll know that I’m preparing myself for a sharp drop in income so I will be curbing my spending and eating more at home. 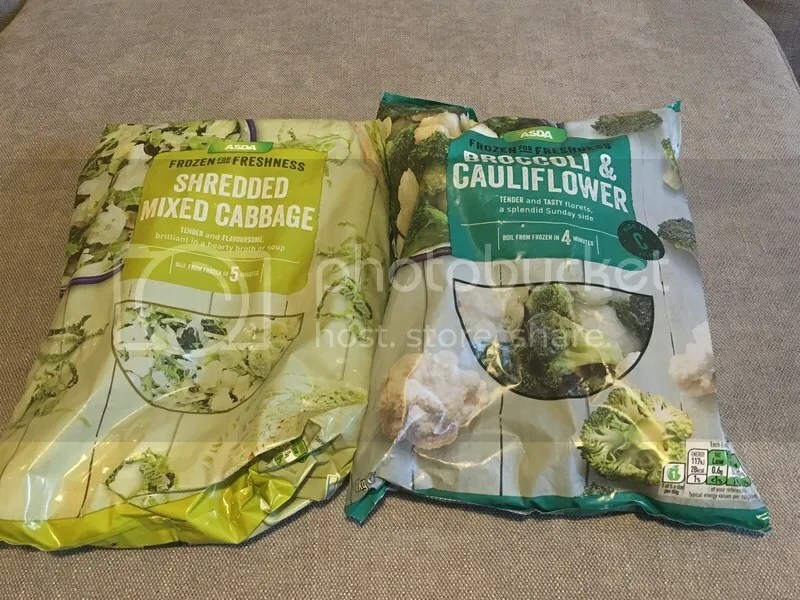 To prepare for my food shop, I went online to both Asda (as my flatmate has 10% discount) and Aldi (where I live, they are around the corner from each other and only a 5 minute drive from me) to see what special offers there were on meat and vegetables. I then decided which meats I wanted to use and compared them to each other to make sure I was getting the best price. My aim for the shop was £25. 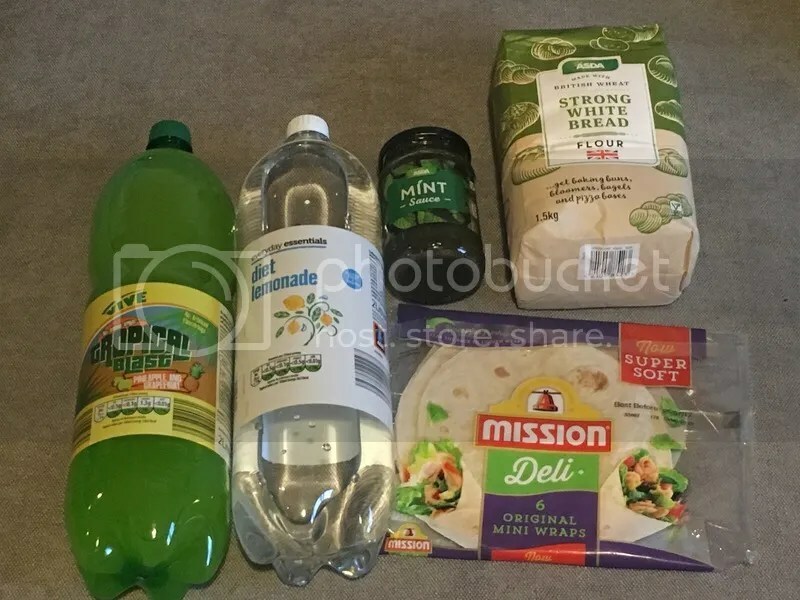 Cupboard items: sugar free tropical blast drink (42p), diet lemonade (19p) from Aldi and mint sauce (83p), bread flour (79p) and mini wraps (75p) from Asda. In total, I spent £16.68 at Aldi and £7.49 (after discount) at Asda, giving me a grand total of £24.17. I had also planned to get some cherries from Aldi but they were sold out. I still have some avocados, a couple of carrots & potatoes, some smoked salmon, cherry tomatoes from last week’s shop so they will be used up in the next couple of days. I could have been even more under target if I didn’t choose lamb but I have a bad roast dinner craving and I can use the leftovers in sandwiches and whatnot in the week. I can pick up some eggs and rice for free so I will probably top up these at some point too. I no longer assign meals to days as I’ve found I’m less likely to follow the meal plan if it’s too rigid! Therefore, breakfasts on my list consist of avocado toast with eggs and tomatoes, granola/cereal with milk or beans on toast with a veggie. 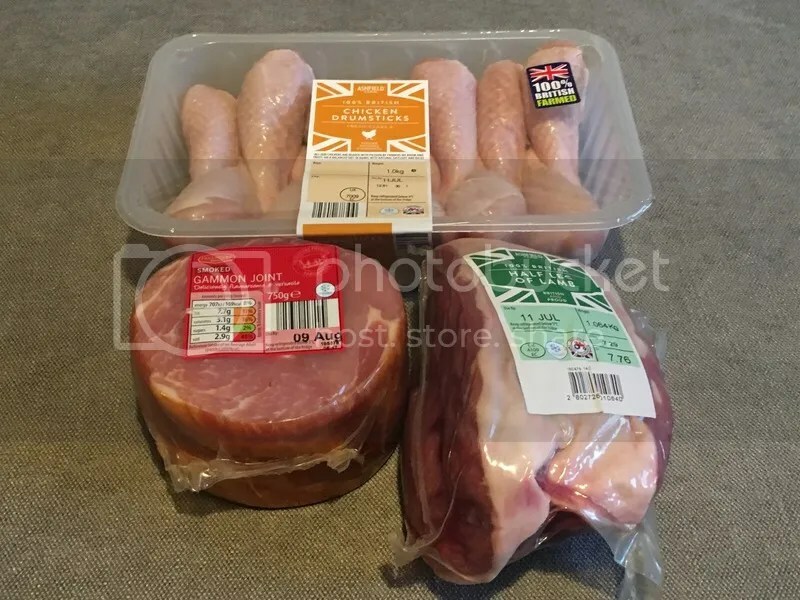 Lunches and dinners will be a mix of: gammon and vegetable soup, gammon steak with potatoes & vegetables, roast chicken dinner, roast lamb dinner, lamb/chicken sandwiches, lamb/chicken stir fry with rice.